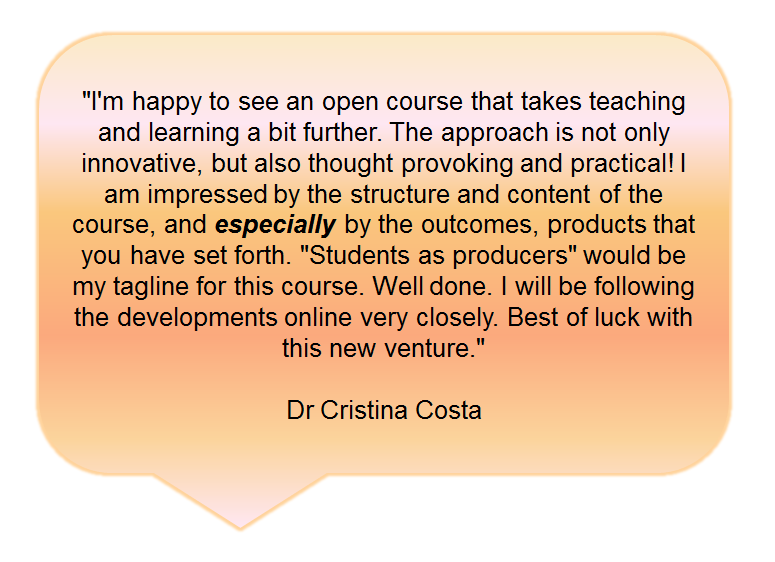 (January 2014) This open course has been peer reviewed by Dr Cristina Costa. 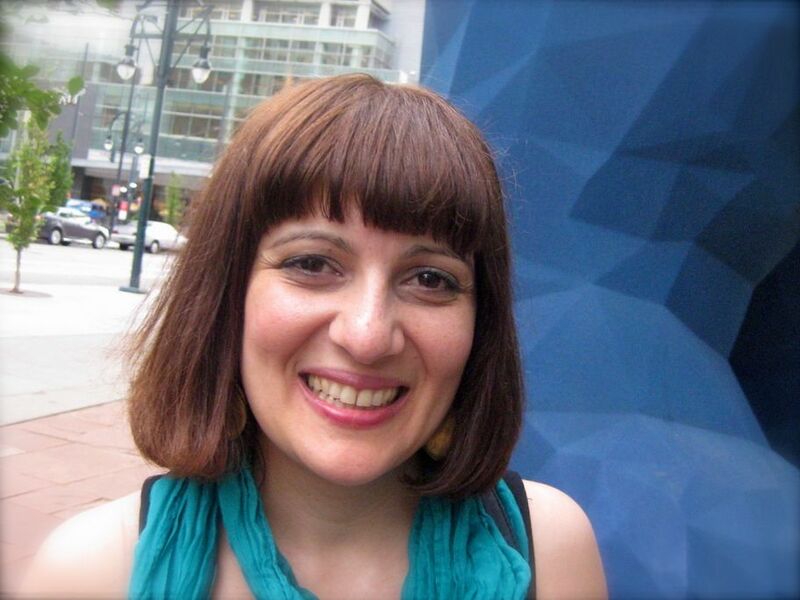 Cristina is a Lecturer in Lifelong Learning (TEL) at the University of Strathclyde, Scotland and was named Learning Technologist of the Year 2010 by the Association for Learning Technology (ALT). Her research focuses on the use of participatory media in a changing environment. Cristina is particularly interested in analysing the advantages and also the implications of using the social web in Education and beyond (Learning and Teaching, Research and Internationalisation, Engagement and Social Enterprise). Cristina tweets as @cristinacost and blogs regularly. You can follow her blog here.